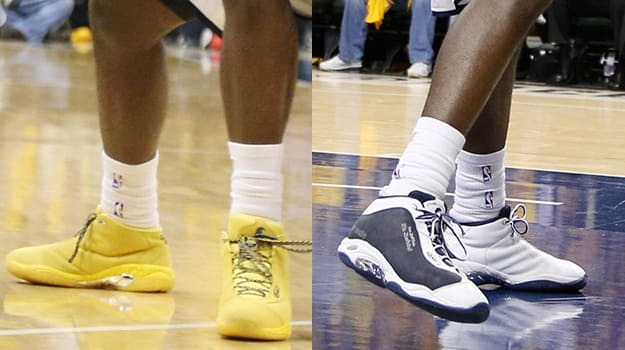 The divide between good Lance Stephenson and bad Lance Stephenson just might be attributed to his shoes. 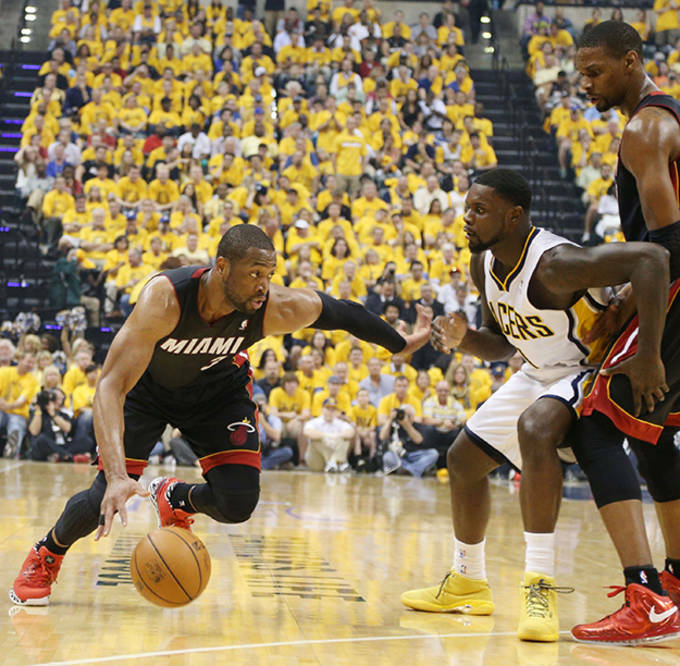 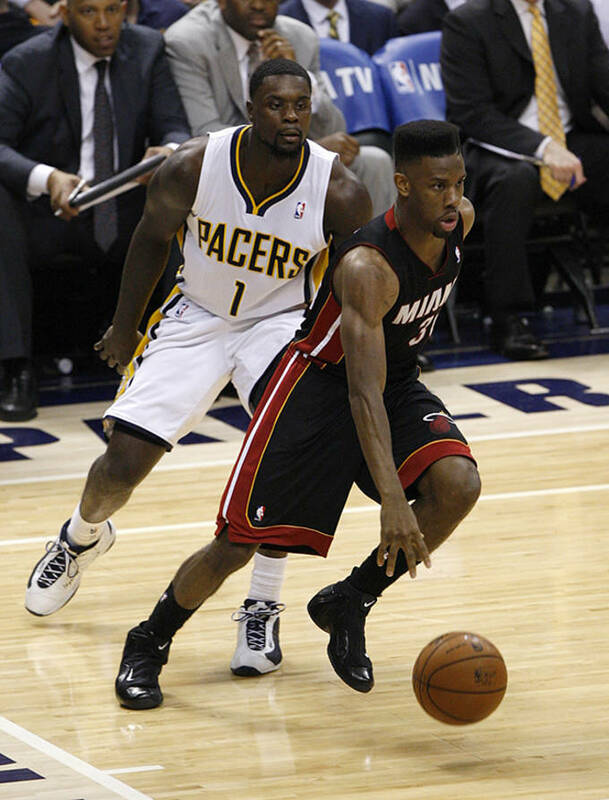 The Pacers shooting guard played tough defense on LeBron James and was a constant bother for the entire Heat team while his Pacers squad was facing elimination on Wednesday night. 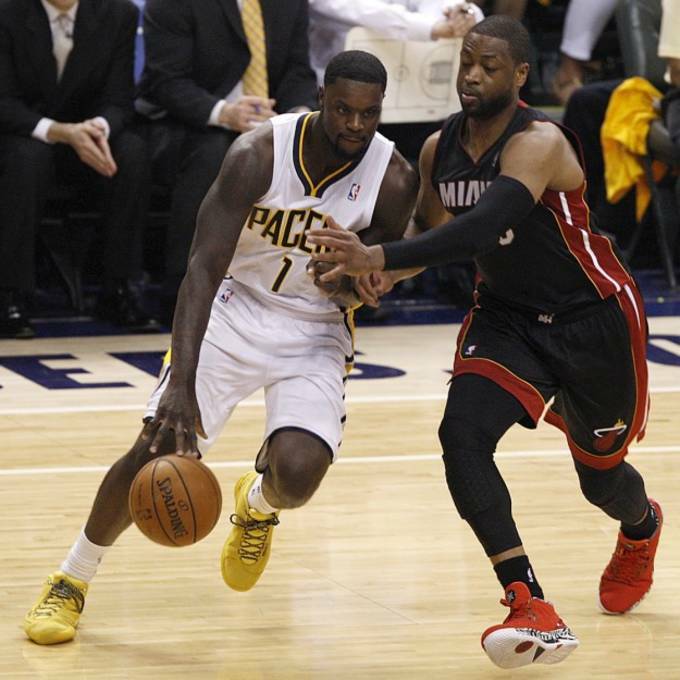 Stephenson dropped 12 points, 5 rebounds, 5 assists, and 2 steals in Indiana&apos;s 93-90 victory over the Miami Heat. 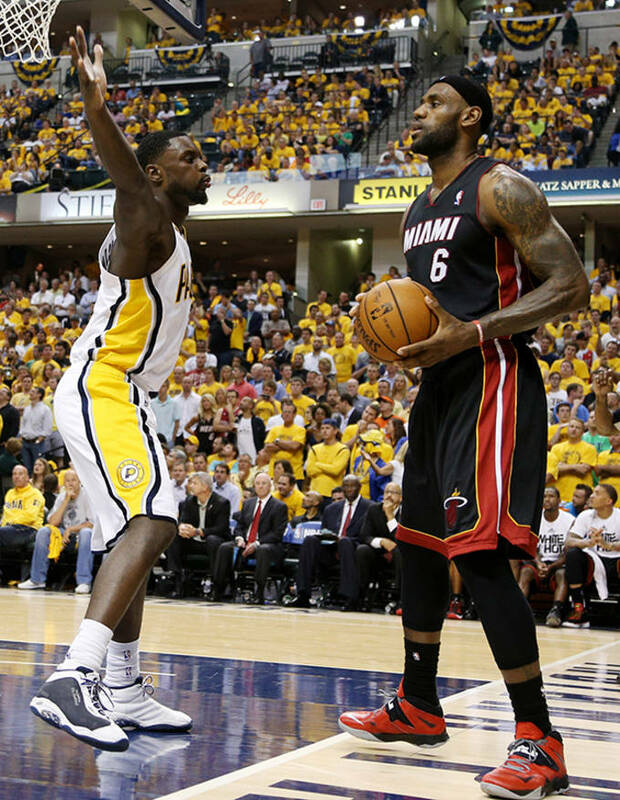 The Brooklyn born product wore an all yellow AND1 Tai Chi PE, and then switched to a navy blue and white PE for the second half. 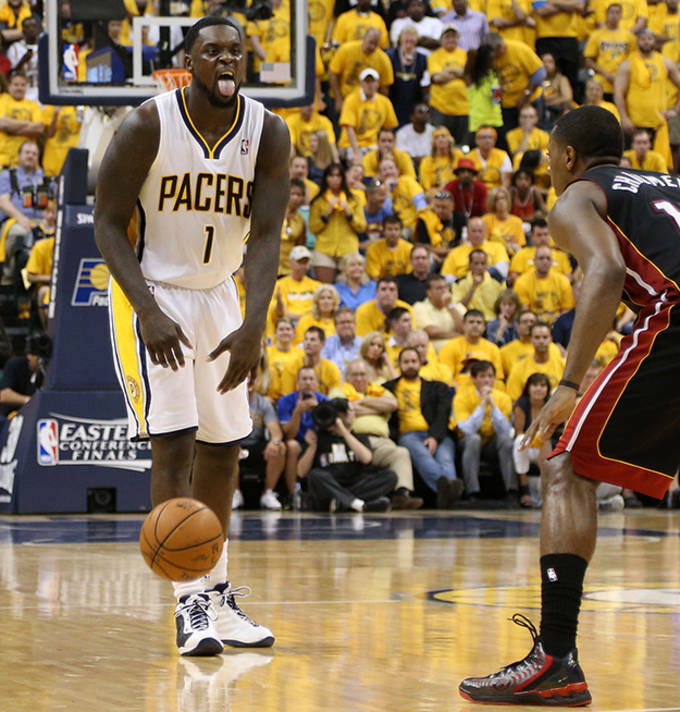 Stephenson was 2 for 5 with 6 points, 1 rebound, and 2 assists in the first half and then contributed 6 points on 2 for 6 shooting as well as 4 rebounds and 3 assists in the second half.